Self-publishing is a do-it-yourself business, in many ways. If and when you finish writing a book, and you choose to publish it yourself, you are also choosing to promote it yourself. Even if you decide to hire a literary marketing firm or a freelance publicist, you are the one responsible for the promotion of your book, and how you will run your overall campaign — either alone or with help from others. In turn, the success or failure of such a campaign ultimately rests upon your shoulders. Your chosen approach will likely consist of some of the most common book marketing methods: an author tour, book signings, bookstore talks, email blasts, direct mail, book clubs, trade shows, radio interviews, print advertisements, television talk shows, book reviews, news releases, excerpts and article bios, podcasts, bookstore placement and displays, library requests, Facebook and Twitter, event sponsorships, freebies, contests, bundling, and a website dedicated to the book. But in this digital age, one item in the author's marketing tool chest that is typically neglected, is the lowly business card. For corporate employees — whose professional marketing efforts mostly consist of updating and distributing a résumé — their business cards may only see the light of day when dropped into a fishbowl at a local restaurant, in the hopes of winning a free meal. But wise freelancers have learned the value of having at least a few copies of their business cards on hand, when attending any professional event, or just going about their day in the outside world. They have learned from experience that, in public, you can sometimes make unexpected and valuable connections, at any moment. Instead of scribbling your name on a scrap of paper (which obviously was intended for some other purpose), you can offer a well-styled card, which is more likely to be retained by the recipient, and thus possibly referenced later. For independent professionals in any field, a business card can be exchanged with that of another freelancer, posted on a bulletin board, or handed to someone to cap off an "elevator pitch". If it is especially attractive or unusual in a positive way, then your card may serve as a conversation piece. It can briefly describe and thereby introduce anything, from a major business to a single project. Lastly, your card does not have to be professionally designed or lavishly produced in order to get results. All of this is true as well for the ultimate freelancers in the world of literature, namely, authors — particularly for those who have chosen the indie route, instead of relying upon a conventional publisher. When putting together the promotional materials for an event, such as a book signing in a retail store, most publicists and authors immediately think of posters, bookmarks, postcards, and book displays — but rarely smaller cards. Even the leading books on publicity fail to mention business cards. Yet cards have advantages over larger promotional items: They are inexpensive, yet informative, and thus generally more cost-effective. They are simple in form, and thereby deliver your message quickly to busy prospects, without appearing like a hard sell. 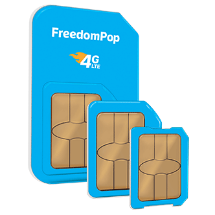 They are fairly durable, and the recipient may pass a card along to a secondary recipient. After a promotional event, visitors will find these unobtrusive advertisements in their pockets, and may visit your book's website. These principles can be illustrated with a recent example from my own experience. 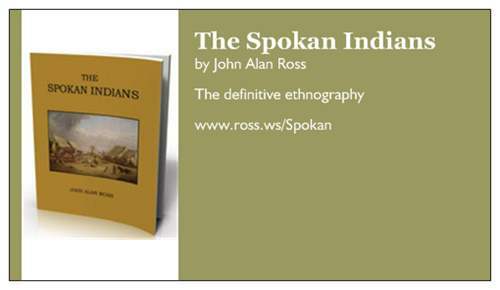 In late February of 2011, I published my dad's magnum opus, an ethnography of the Spokan Indians. We began our publicity efforts with the most obvious tactics: a website, a news release, and an email message sent to a list of people who had expressed genuine interest in the project, and had requested to receive notification when the book became available. Shortly thereafter, we also notified numerous public and university libraries (some of which it turns out already had the book on order). As the author, my dad was frequently asked by acquaintances as to the status of the book, its title, and how they could best acquire a copy for themselves. These people, in turn, were often finding themselves discussing the book with their own family members and friends. We needed a way to make it as easy as possible for helpful people to spread the word, without having to memorize a website address or anything else — and in a modest manner, without coming across as pushy or mercenary. Using the services of Vistaprint, I created a simple business card based upon one of their design options that allowed me to add a custom image. I used the three-dimensional jacket image I had created earlier for the website, thereby giving the card more visual depth. The placement of the image and text was not random, but rather intended to match a natural left-to-right reading flow. I wanted the recipient of a card to look first at the cover shot, and then look to the right, where she would read the title, author name, and slogan. The last element she would see is the website address, which is the card's "call to action". This was my first book published, and I had found little available information on the use of business cards for promoting books. Consequently, I had no idea as to how effective these cards would be, if at all, and thus how many should be ordered initially. So I started with a box of 250 cards, thinking that such a quantity might be sufficient for a nonfiction book that presumably would appeal to only a narrow market. The outcome has been remarkably pleasing, as we quickly went through that first box (and, as of this writing, are just as rapidly going through a second). Time after time, a given card led directly to a sale, usually within 24 hours. In some cases, a single card would result in multiple sales. Distributions of blocks of cards have roughly correlated with noticeable increases in sales (reflected in the statistics available in the POD distributor account). The positive feedback we have received has been instructive, and may be helpful to other authors: We discovered that acquaintances felt quite comfortable handing a card to anyone who asked about the book, because the small size of each card made it appear completely nonthreatening and noncommercial — more like a simple introduction, as with corporate cards, and not a big sales pitch. Friends of the family were enthusiastic in distributing the cards, to help spread the word of the book's publication. One particularly kind and energetic friend of the author has distributed numerous cards at meetings relevant to the book's topic, when attendees requested the name of the book or otherwise showed a strong interest in purchasing a copy. Recipients often commented that the three-dimensional cover shot allowed them to immediately visualize holding the book, and that spurred them to order a copy of their own. The painting on the front cover also proved advantageous, because it is small enough on the card so that recipients cannot fully discern much detail, prompting them to resolve to visit the book's website, if only to better see the painting. The site's web copy was then sufficient to convince them to make a purchase. The author has found that the book will often come up in discussions, and not just verbal ones: He can enclose a card or two in letters to people who ask about the book. In fact, some recipients commented that they were impressed that a card dedicated to the book was even created, as it showed an unusual level of commitment. Based upon these results, we are convinced that these efforts generated a lot of buzz in the local community (in what could be considered a form of social advertising), and that business cards can be an affordable and yet effective component of any author's marketing campaign.